13.09.2011. Rittal has extended its contract and will remain the sponsor of the arena in Wetzlar that bears its name for the next five years. The enclosure and system supplier is also carrying on as a co-sponsor of HSG Wetzlar. In this way, Rittal is continuing its long-term support for the region of Middle Hesse. Rittal has extended its contractual commitment to the "Rittal Arena" in Wetzlar, which will now bear the company's name until 2016. "I feel a very close tie to my home region. And our employees should feel at home here, too. Cultural facilities play a key role in this. I therefore consider it logical to focus our commitment in particular on the regions where we operate sites", stresses Friedhelm Loh, Chairman of the Board and owner of the company, which has 63 subsidiaries and more than 10,000 staff worldwide. With this continued cooperation, Rittal is demonstrating its commitment to its roots in Middle Hesse. This commitment will be even clearer in future thanks to the new Rittal lettering on the arena. Sally Julian Rothholz, Managing Director of Gegenbauer Location Management und Services GmbH, the company that runs the "Rittal Arena", is delighted that a company of Rittal's standing has given its name to the stadium. "We are happy to be keeping Rittal, a major employer in the region, as our partner", he says. HSG Wetzlar, a handball team that has been in the German league for 14 years, is also benefiting from Rittal's local commitment. The company has been a co-sponsor of the team since 2006. "Without such sponsors, sports clubs like HSG Wetzlar could not survive", says HSG Manager Björn Seipp. The Friedhelm Loh Group has a long tradition of supporting social and cultural institutions in the region. This commitment is firmly anchored in the company's corporate principles and honoured by the company and its employees alike. Each year, they make donations to charitable organisations such as Lebenshilfe, Herborner Brotkorb, Dillenburger Tafel, Burbacher Tafel, voluntary fire teams and both national and global organisations, including Caritas, Diakonie, Humedica and World Vision. In addition to sports clubs such as HSG Wetzlar and the wheelchair basketball team RSV Lahn-Dill, the Friedhelm Loh Group also sponsors events such as the Herborner Schlumpeweck performing arts award and numerous schools in the Lahn-Dill district. Completed in 2005, the "Rittal Arena" is home to HSG Wetzlar. The 2007 Handball World Championship was also held there. A diverse programme of concerts and shows makes the arena a magnet for both young and old. Boasting a maximum capacity of up to 6,000 and sophisticated technology, it is the largest and most state-of-the-art multi-purpose arena in Middle Hesse. 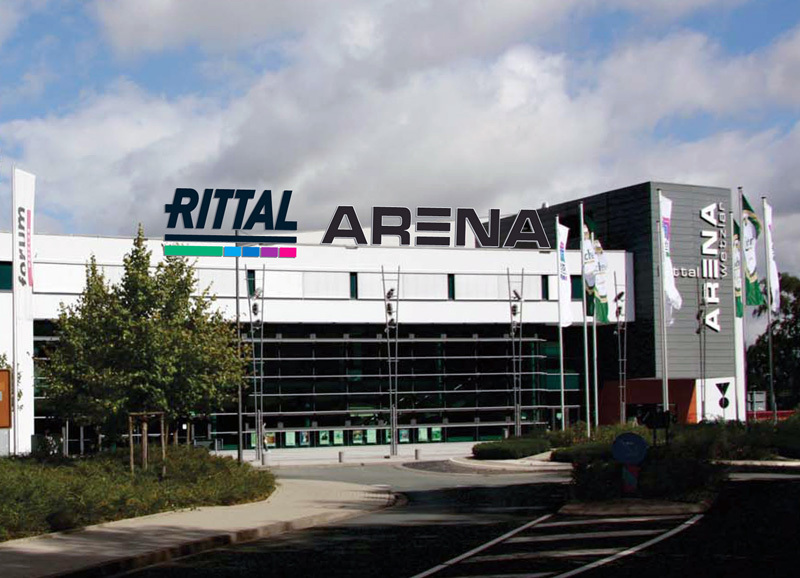 Rittal is sponsoring and giving its name to the "Rittal Arena" for another five years. 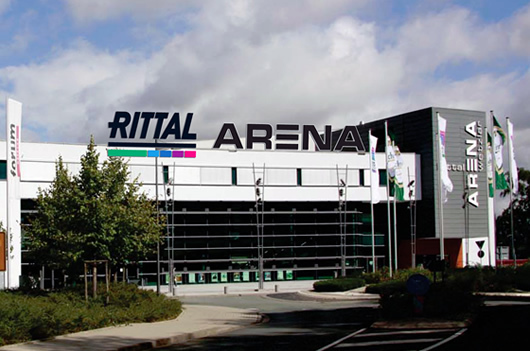 The Rittal lettering on the arena is being given a facelift in honour of the extension.